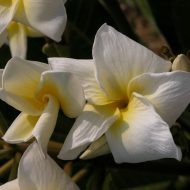 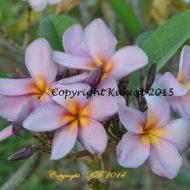 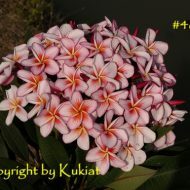 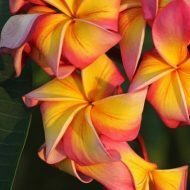 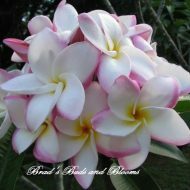 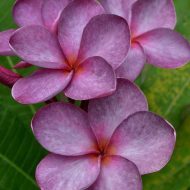 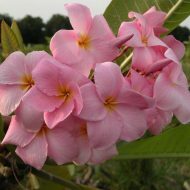 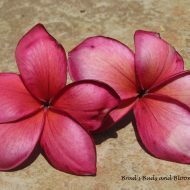 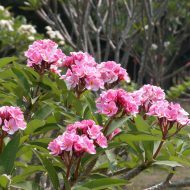 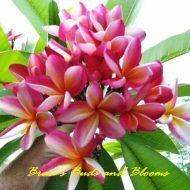 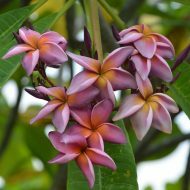 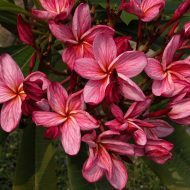 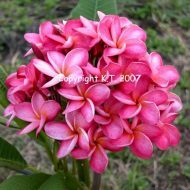 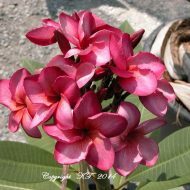 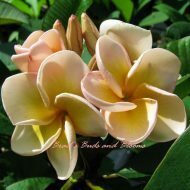 This is one of three most rare, beautiful, unique, and exclusive releases for 2015 by the well-known and respected plumeria hybridizer, Kukiat Tanteeratarm of Thailand. 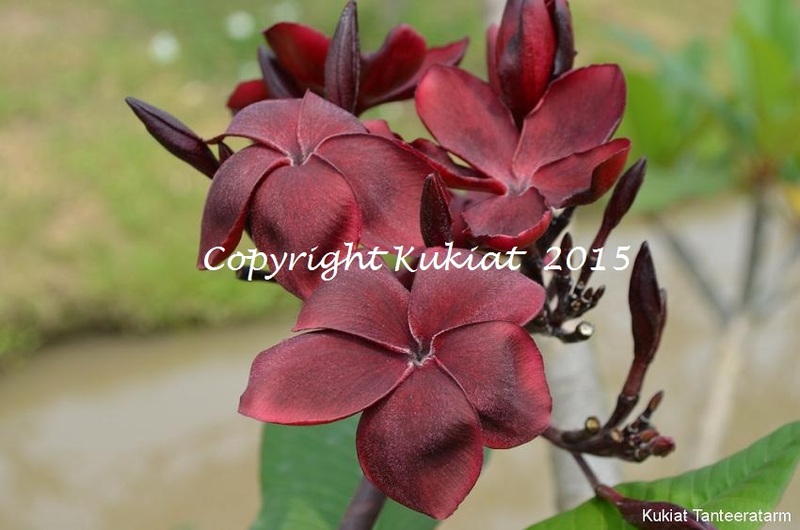 This is the first year this plant has been offered for public sale anywhere! 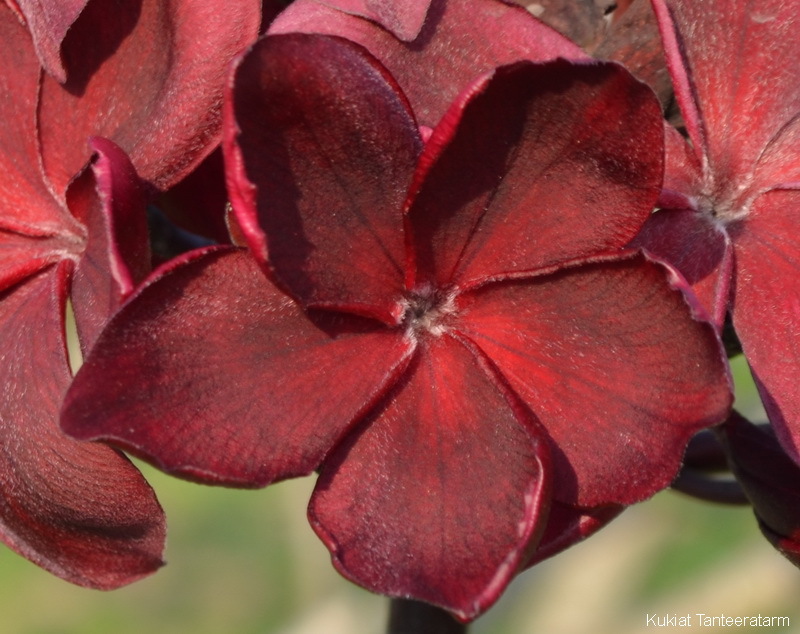 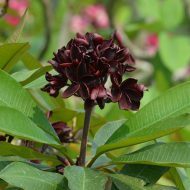 This extraordinarily beautiful cultivar produces 3″ extremely dark red blooms with lots of black coloration, hence the name. 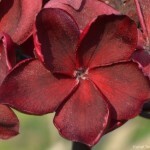 As most know, reds are the most difficult to photograph. 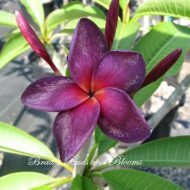 We have managed to do fairly well in showing the dark flower, but, were still unable to fully demonstrate the dark black that permeates the petals of this beautiful plumeria. 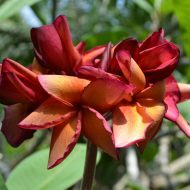 To see it in person is quite surprising since it has more black than any of the commercially available dark red plumerias on the market these days. 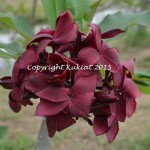 This is one of Kukiat’s Top 2 darkest reds. 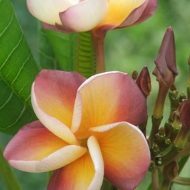 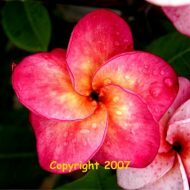 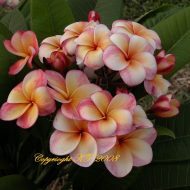 This plumeria also comes with a lovely, sweet fragrance. 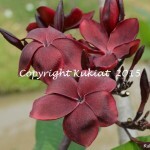 This is a much anticipated new release for this year by those that are familiar with Kukiat’s beautiful and unique hybrids. 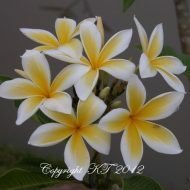 The attached pictures are an excellent representation of the flowers you can expect from an established specimen. 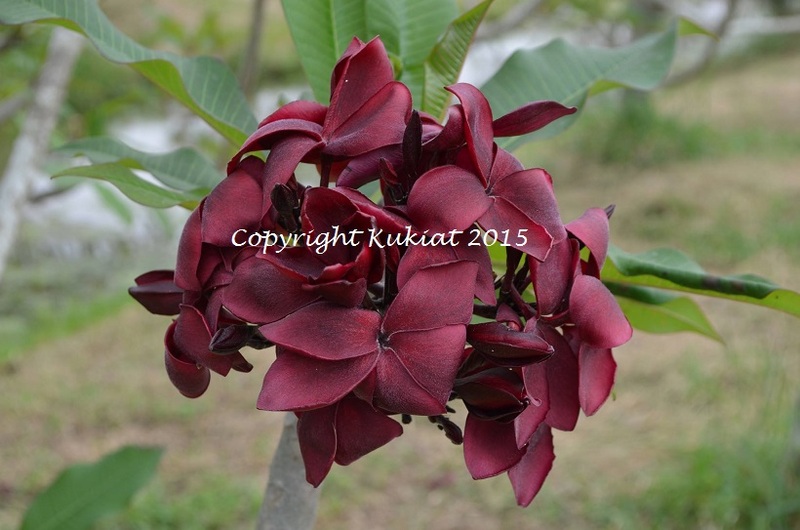 You will not find this plant any place else as the release of this beauty has been carefully coordinated with us. 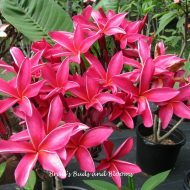 Brad‘s Buds and Blooms is the only entity with direct authorization and permission from the grower, Kukiat, to receive from him— and— to sell this plant in the USA. 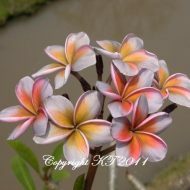 These are GRAFTED Plants by Kukiat–appx. 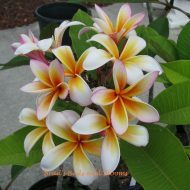 13-16″ tall, measured from the soil line.